The George Bush Houston International Airport is the essential gateway of Texan life. With stores featuring Texas-made goods and Texan-inspired dining options, you’ll be immersed in Texas you walk the halls of Houston International. There are some features of this magnificent airport that we at InMotion find particularly worthwhile, so join us as we travel through our favorite stops along the way. 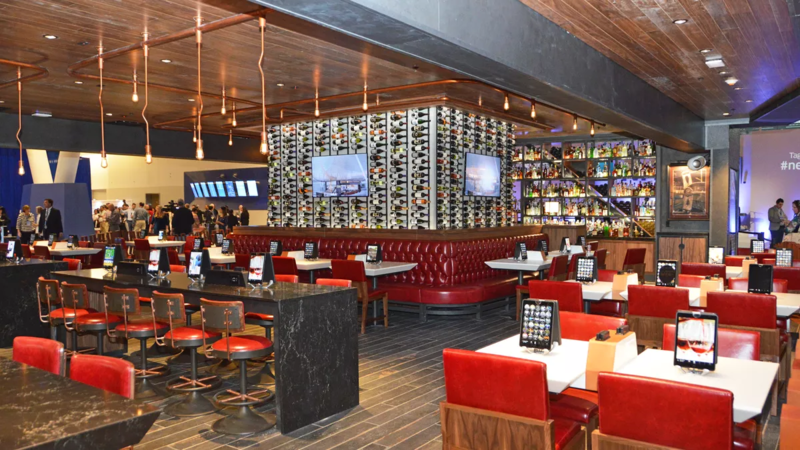 We’ve all heard that everything is bigger in Texas, but Ember, a Texas-inspired tavern at Gate C12 of Houston International, makes sure things are better in Texas too. The aesthetic qualities of the restaurant alone signal its impressive standards, with its refined and classy design. Looking at the vast selection of wine and some of the delectable meals offered on their menu, it wouldn’t surprise you to find out that this food is designed by one of Houston’s greatest culinary minds, Chef Chris Shepherd, winner of Food & Wine’s “Best Chef In America” award and the James Beard “Best Chef: Southwest” award. 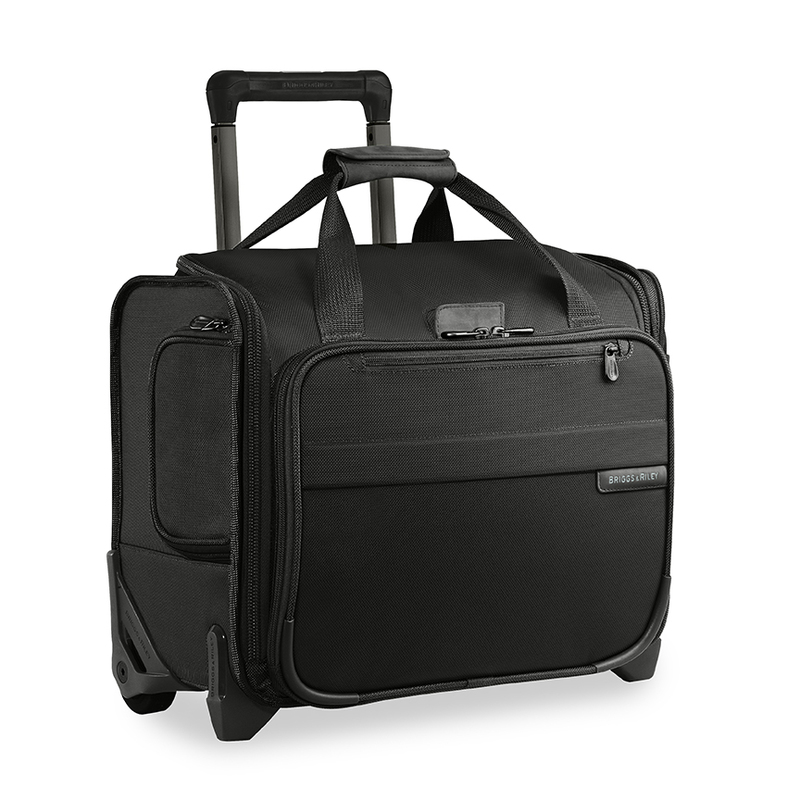 As you feast on an Egg Frittata or Grilled Ahi Tuna, you could rest assured that you’re prepared for your overseas flight with the Briggs & Riley International Carry-on Expandable Wide-body Spinner luggage bag. Featuring patented CX Compression-Expansion technology, you’ll have an internal volume of 36.4-47.8 liters of space to work with, while still fitting within the overhead compartment. 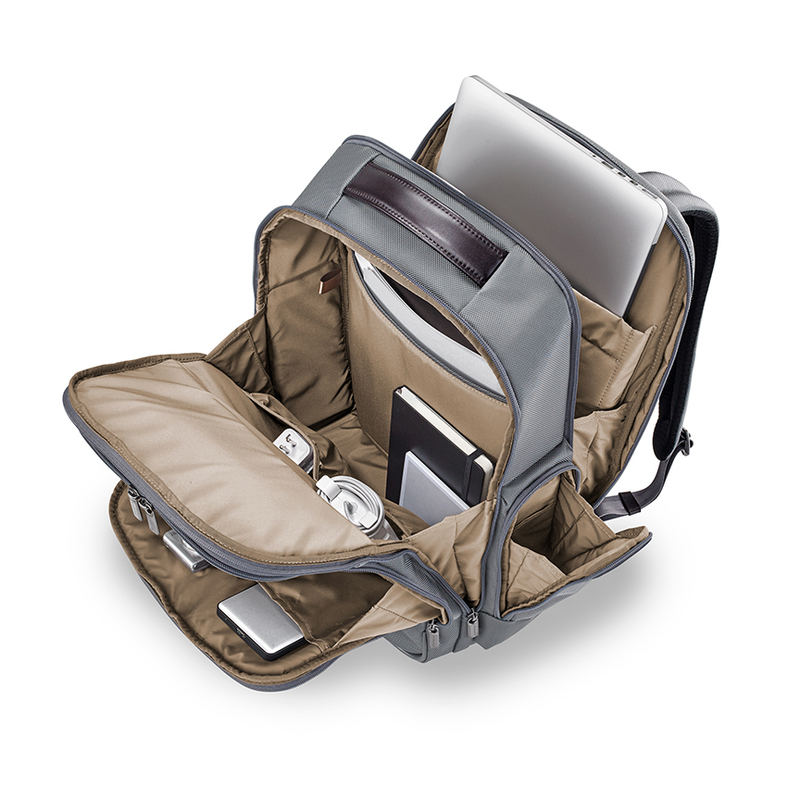 And with the swivel wheels allowing you full 360o mobility, you can pack up and go wherever your heart desires. 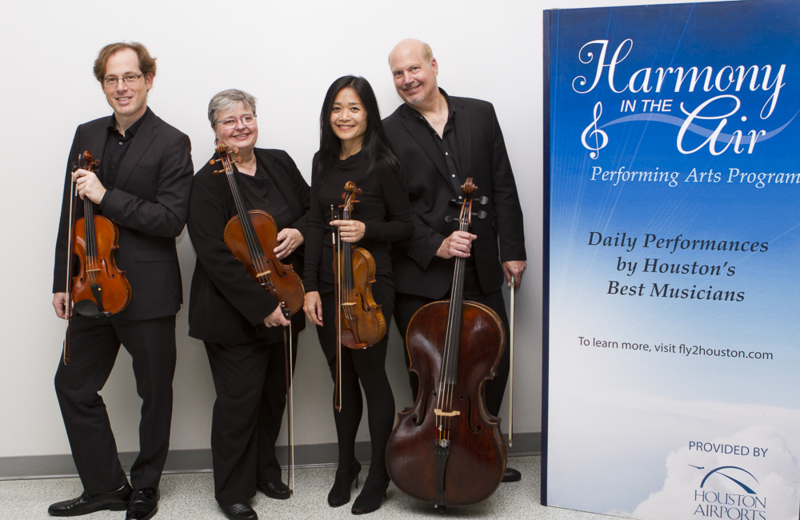 Houston is home to a number of musical wonders, and luckily for us the Houston International airport has started to put on shows for travelers to showcase the amazing talent that Houston has to offer through the Harmony In The Air program. Some acts you could possibly see are the Paul English Jazz Quartet, the Axiom Quartet, or Tony Henry. Check the performance schedule to see who will be playing when you are in the airport. Performances take place either in Northside Atrium in Terminal A, or Terminal D near Gate D8. To ensure you arrive at these musical moments in style, the Briggs & Riley @Work Large Cargo Backpack is the elegant way to keep your belongings safe and sound. The fabric looks exceptional, being made out of ballistic nylon to ensure that your bag will resist everything from dust to abrasion, and the enormous laptop pocket is large enough to accommodate laptops as large as 17 inches. With a total of 33 liters of space to work with, you’ll have more than enough room to fit all your electronics inside, allowing you peace of mind to enjoy the sonorous experience of some of Houston’s most precious musical masters. 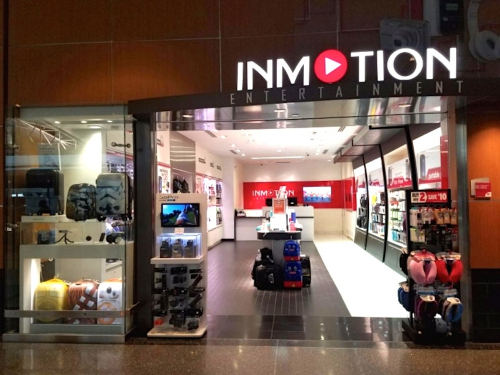 Briggs & Riley, the travel authority in the luggage space, and InMotion, the country’s largest airport-based electronics retailer, announced a new partnership at the InMotion store at Houston International Airport earlier this year. This brand new store opened in November and features all the great products above as well as many other innovative luggage options for your next trip. Few states have their own signature look, but Texas is a proven exception. With cowboy hats, belt buckles, and vests as staples of the Texan fashion statement, it would be a waste of a trip walking away without some extra articles of clothing to spice up your wardrobe. 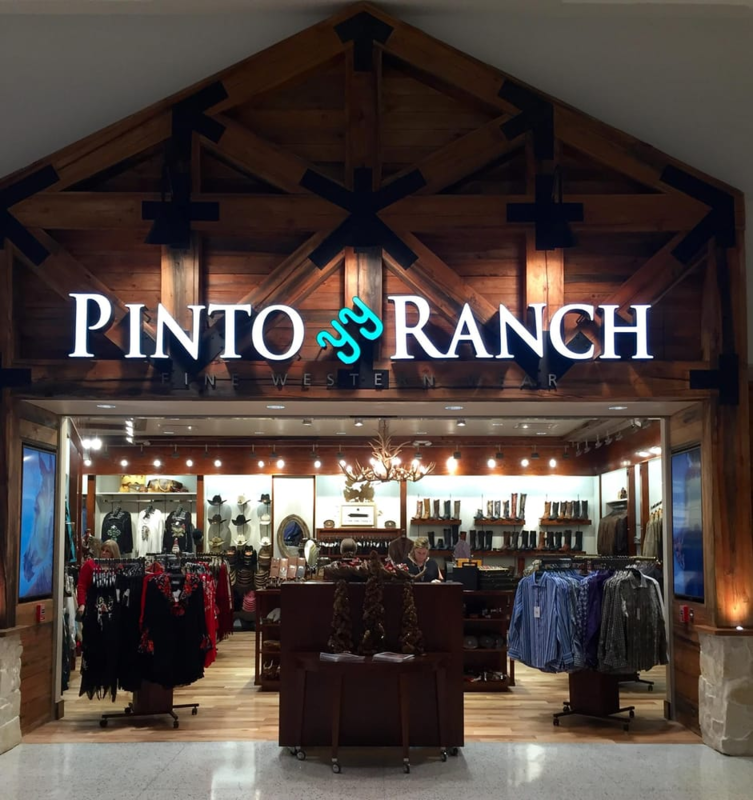 Pinto Ranch near the security checkpoint at Terminal C offers the finest in fashionable Texas clothing, with options for both women and men in a variety of sizes. Once you’ve chosen your perfect outfit, the Briggs & Riley Baseline Rolling Cabin Bag is the perfect way to store it. 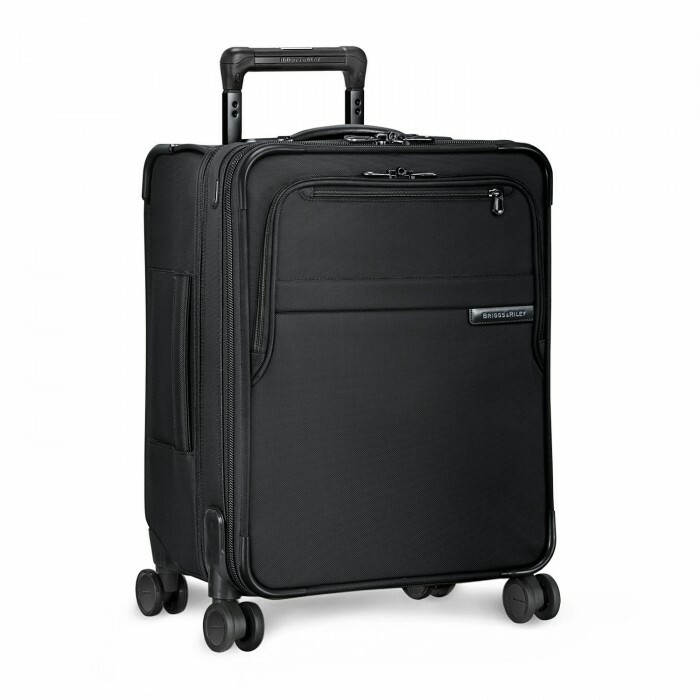 With 1550 cubic inches of space, a retractable handle, and two wheels to roll around your luggage, you’ll be completely pampered with your new purchase. 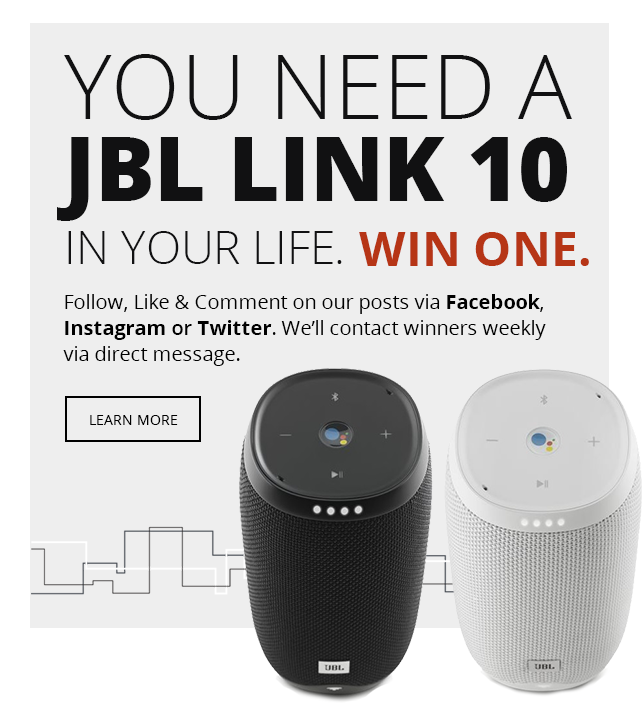 InMotion is happy to be a part of the Houston International family, and we are delighted to assist you with any of your potential electronic needs. With four locations, in terminals E, C and in the FSI building, InMotion has everything you need from Bose Headphones, to official Apple products or even a T-Mobile Tourist Sim Card. Stop by the security checkpoint by Terminal E for consultations, product demonstrations, and general knowledge to assist you with your questions on the electronic capabilities of devices you’re interested in. Houston International is a sight to behold, and there’s no way to truly experience all it has to offer without going there yourself. 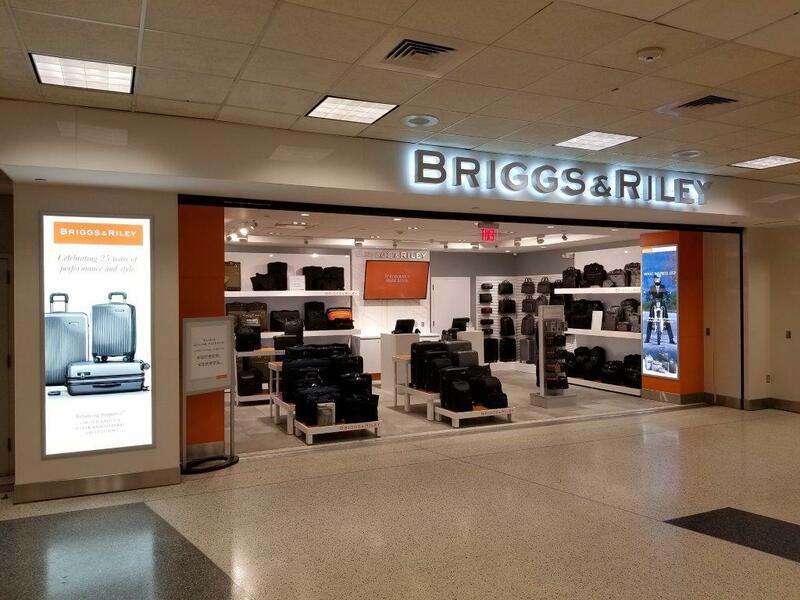 We hope the next time you find yourself at Houston International, you find all the Texan culture your heart desires and some great new accessories from Briggs & Riley and InMotion.